The Lapland Longspur is native to many portions of Europe and Asia and is a visitor to other portions of the world as well. At the current time this bird species is ranked as Least Concern. The range of the Lapland Longspur has not been quantified at this time but is considered to be several million square kilometers. Due to the size of this bird's population as well as its range, it is not considered to be facing any immediate threats. The prior rating for the Lapland Longspur was Lower Risk, which was downgraded to Least Concern in 2004. Lapland Longspur: Breeds from Aleutians, Alaska, and Arctic islands to northern Quebec. Winters regularly throughout northern states to California, Texas, and North Carolina. ; also in northern Eurasia. Nests on Arctic tundra; in migration stays on alpine meadows. Winters on farm fields, pastures, grasslands, and grassy coastal dunes. Song is a series of squeaky, loud notes. Song phrases and call notes. Song is a short and descending musical warble. Song consists of musical phrases and twitters. The more common name for this bird is Lapland Bunting. It is only known as the Lapland Longspur in North America. 'Longspur' refers to the elongated claw of the hind toe. It breeds in the high arctic with continual daylight during the summer, and a breeding male may sing at any hour of the day. Despite the lack of a real dawn, the male tends to sing most in the early morning. Some winter flocks have been estimated as large as four million birds. A group of longspurs are collectively known as a "drive" of longspurs. Most of the small birds such as finches, thrushes, sparrows, and buntings are members of the one hundred and eighteen families found in the largest taxonomic order of birds; the PASSERIFORMES (pronounced pas-ser-i-FOR-meez). 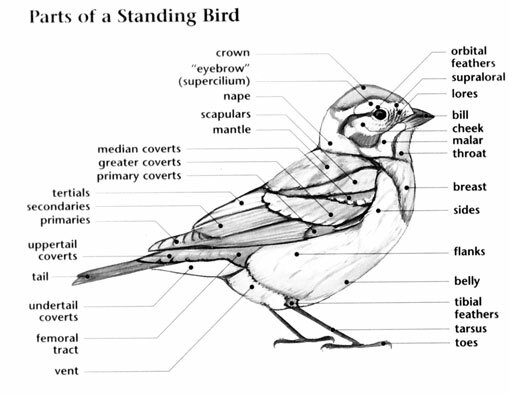 Longspurs and Snow Buntings are in the Calcariidae (pronounced cal-ca-RI-uh-dee) family. There are six species in three genera. All six species of the Calcariidae family occur in North America, however the McKay’s Bunting is only found along the west coast of Alaska. Longspurs can live in a wide variety of habitats and can eat between 3,000 and 10,000 seeds or insects per day. Members of the Calcariidae family are small active birds with cone-shaped bills. The longspurs have a wider range of color, from buff and chestnut to brown and black, along with black and white marked heads. 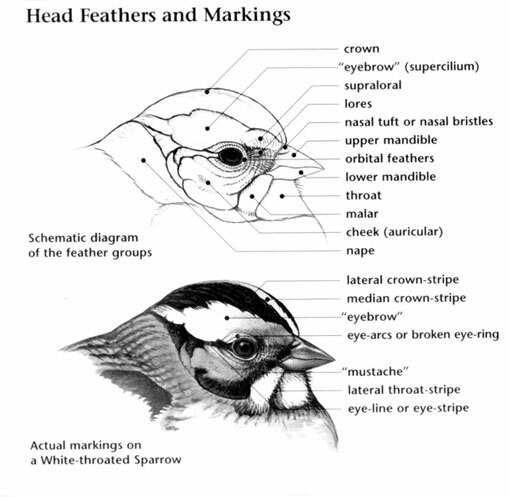 The buntings are primarily black and white. All of the Calcariidae occur in North America. Only the Lapland Longspur and the Snow Bunting occur in Eurasia as well. Members of this family can be found on tundra, mountains, beaches and grasslands. Members of this family are short distance migrants. Calcariidae eat both seeds and insects, they also gather in flocks in the winter. 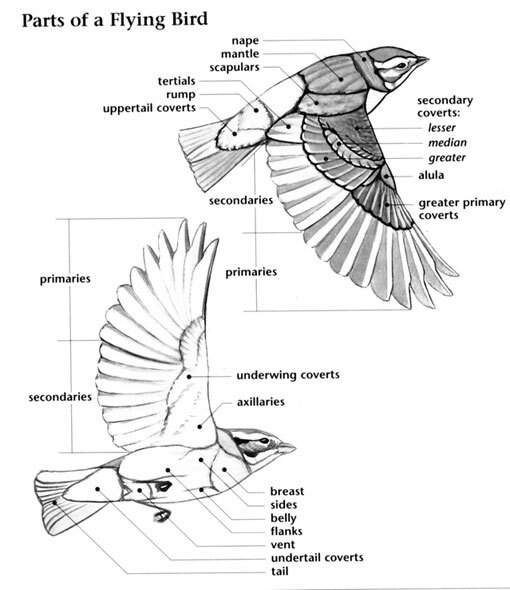 McKay’s Bunting is listed by the IUCN as Near Threatened due to an estimated population of less than 6,000. The Chestnut-collared Longspur is also listed as Near Threatened from habitat loss. Some winter flocks of Lapland Longspurs have been estimated at over four million birds.